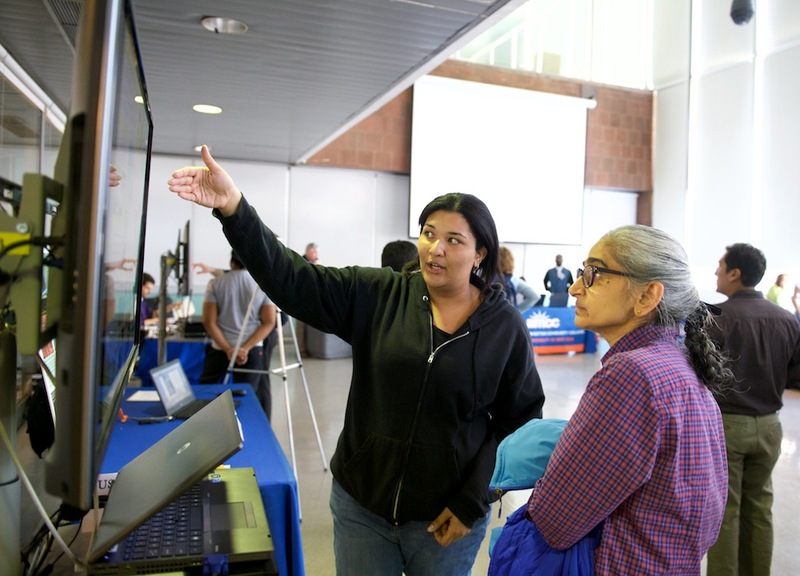 NEW YORK, NY--(Marketwired - October 14, 2016) - Borough of Manhattan Community College, The City University of New York (BMCC/CUNY) is launching a five-year project to recruit Hispanic students into Computer Information Systems and Media Arts and Technology associate degree programs, then facilitate their transfer to related bachelor's degree programs at John Jay College of Criminal Justice, New York City Technical College and others. Funded by a $6 million HSI-STEM and Articulation Program Title III grant from the Hispanic Serving Institution (HSI) program of the Office of Postsecondary Education, U.S. Department of Education, BMCC will partner with New York City College of Technology (City Tech) and John Jay College of Criminal Justice, where BMCC graduates will transfer to related bachelor's degree programs. "The HSI-STEM and Articulation Program will implement a summer bridge program, create blocked scheduling and student cohorts, and deliver support services such as mentored research," says Erwin Wong, BMCC Dean of Academic Affairs and Principal Investigator of the project. Latinos account for more than half of the total U.S. population growth -- yet make up less than 10 percent of the STEM workforce, according to a 2016 report by the Pew Research Foundation. "With more than 8.6 million STEM-related jobs anticipated by the year 2018, preparing and encouraging students to pursue technical careers is critical," says Dean Wong. The project's Co-Principal Investigators are Mete Kok, BMCC Professor of Computer Information Systems, and Christopher Stein, Chair of the BMCC Media Arts and Technology department. Eventually, they say, students in the program will be qualified to begin careers as a system analyst, database administrator, cybersecurity specialist, web programmer, network engineer and others -- all within today's fastest-growing career sectors. "We recognize the importance of STEM in this economy and are certain that you [BMCC] will implement projects and programs that will help increase the number of Hispanic and low-income students that graduate with degrees in STEM fields," says Beatriz Ceja-Willams, Division Director at the U.S. Department of Education, Office of Postsecondary Education. "I am confident that the work you [BMCC] do will have an amazing impact on the educational success of Hispanic students."